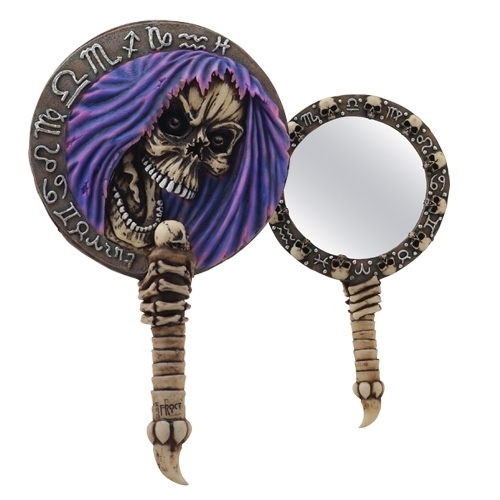 This hand mirror is 9 and 7/8 inches long. Made of cold cast resin and hand painted. Just for you Grim Reaper fans out there this is a must have collectible for facing death.